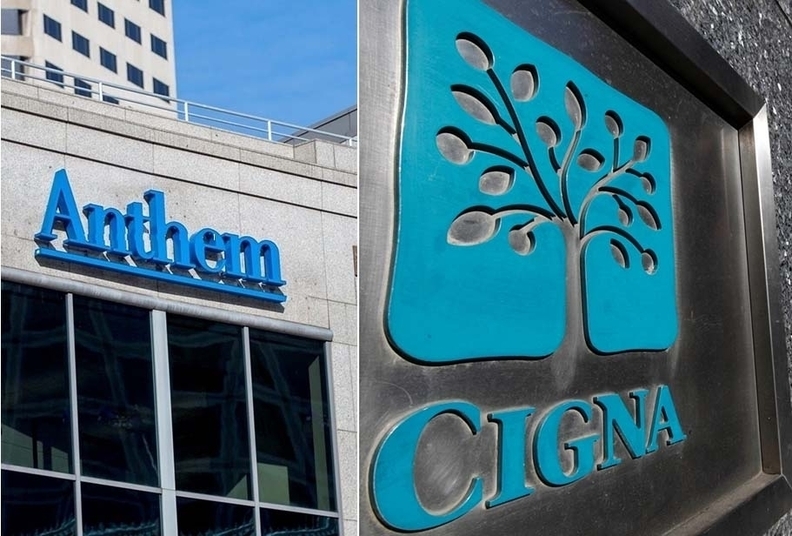 Anthem announced Friday morning that it will stop pursuing Cigna, a merger that long ago turned into a hostile takeover bid. Cigna had asked a Delaware Chancery Court judge to let it out of the merger agreement, and had asked that court to approve billions in damages past the $1.85 billion accounted for as a breakup fee in the original agreement from July 2015. That judge ruled against Anthem on Thursday, but offered the Indianapolis-based company the chance to appeal. Anthem said in light of that ruling and Cigna's opposition, it is terminating the merger. "Cigna has failed to perform and comply in all material respects with its contractual obligations," Anthem said in a press release. "As a result, Cigna is not entitled to a termination fee. On the contrary, Cigna's repeated willful breaches of the Merger Agreement and its successful sabotage of the transaction has caused Anthem to suffer massive damages, claims which Anthem intends to vigorously pursue against Cigna." Cigna said it believes Anthem willfully breached its obligation to make its best efforts to obtain regulatory approval of the merger. "Cigna seeks prompt payment of the $1.85 billion reverse termination fee and will pursue our claims for additional damages of over $13 billion against Anthem for the harm that it caused Cigna and its shareholders," the company said in a filing with the Securities and Exchange Commission on Friday.